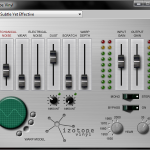 After many years experimenting with music, trying to get the ‘right’ sound out of digital equipment, when I truely enjoy the sound of vinyl, I have discovered the plug-ins and preferences I prefer, and would like to share them with you. 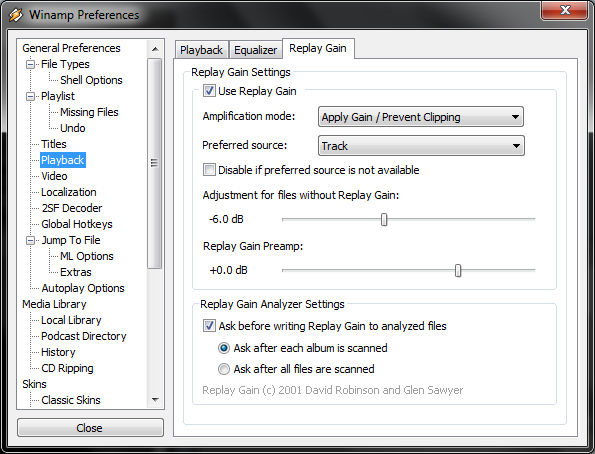 Firstly, I enable “Replay Gain”, in Playback Preferences. 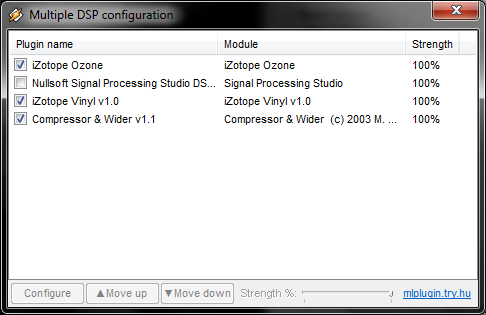 Then I load Multiple DSP, and enable iZotope Ozone as the first plugin in the list, followed by iZotope Vinyl and finally Compressor & Wider, all at 100% strength. 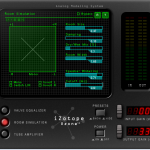 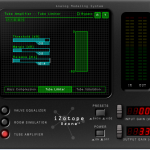 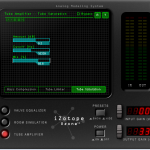 In iZotope Ozone, the first page displayed is EQ.The first two markers I leave where they are. 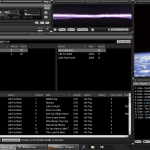 The 3rd I put at +0.8dB at 1242hz, and q set at 0.3. 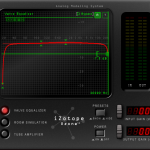 The 4th I move to -7.5dB at 20,000hz with q set at 0.5. 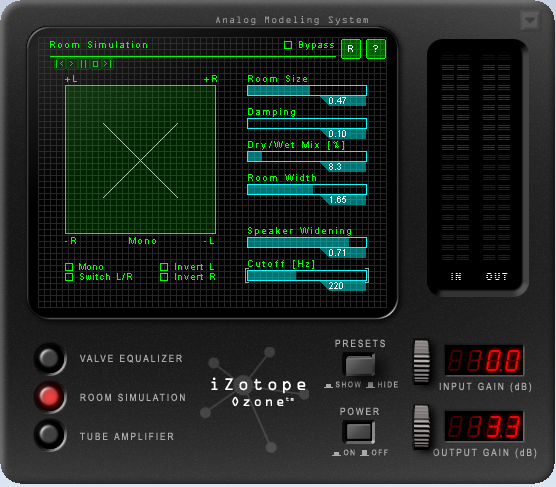 On the Room Simulation page, I set room size to 0.47, damping to 0.10, Dry/Wet Mix to 8.3%, room width to 1.65, speaker widening to 0.71 and cutoff to 220hz. 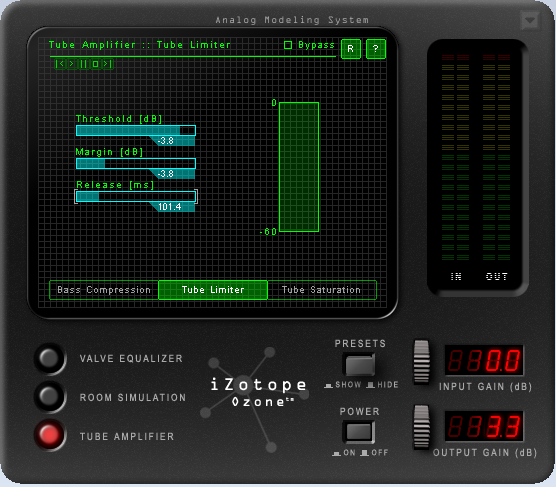 On the first panel of the Tube Amplifier is Bass Compression. 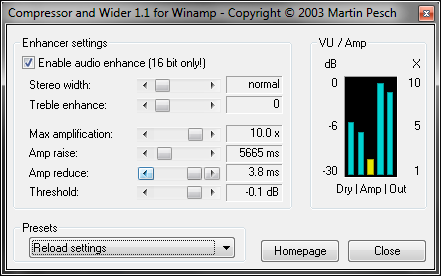 I click advanced, set cut off to 153.8hz, Gain to 8.1, threshold to -30dB and ratio to 25.0. 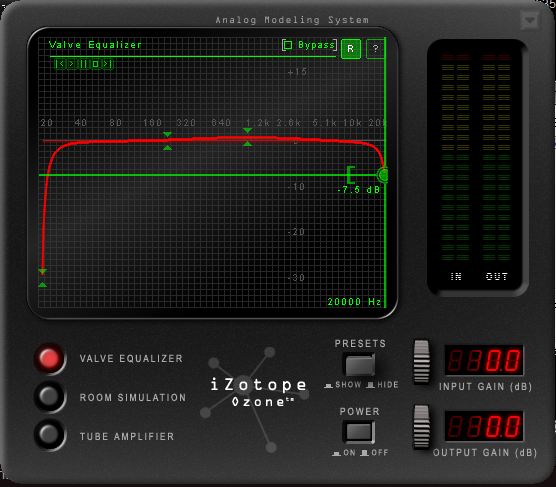 The next panel is Tube Limiter which I set Threshold to -3.8dB, margin to -3.8dB and release to 101.4ms. 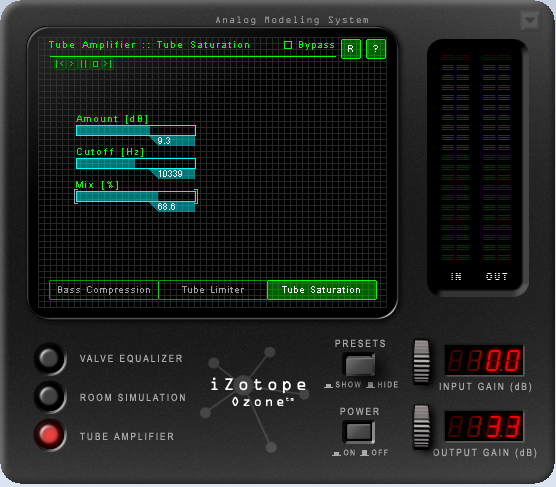 The final tab, Tube Saturation, I set the amount to 9.3dB, cutoff to 10339hz and mix to 68.6%. 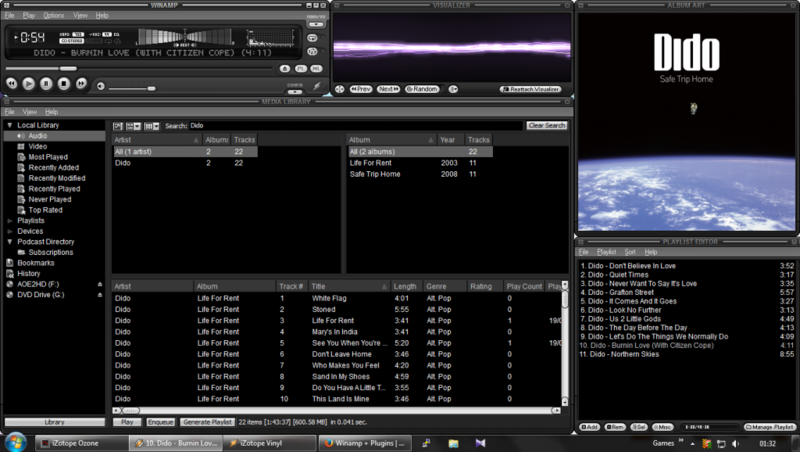 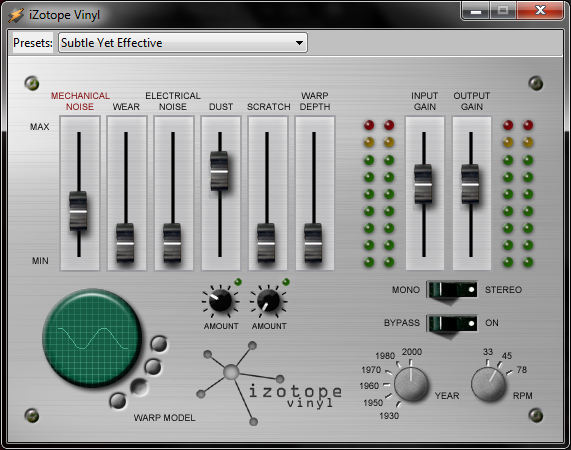 Next, I setup iZotope Vinyl (which does not save settings between Winamp reloads, so you may want to disable it). 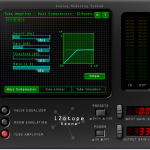 I set mechanical noise to -13.7dB, wear to 0%, electrical noise to -30dB, Dust to 6.7dB, Scratch to -60dB, warp depth to 0%, dust amount to 40%, year to 2000 and RPM to 45. 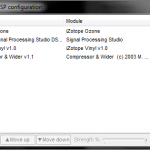 I leave input gain and output gain set at 0, and the stereo flip switch on. 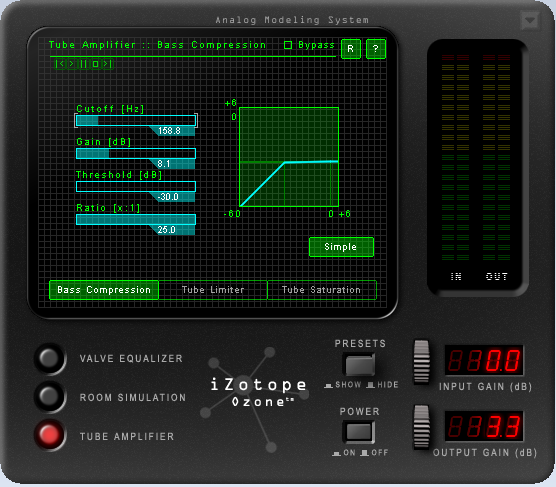 The final plugin in my chain is Compressor and Wider, which I set Stereo width to normal, treble enhance to 0, Max amplification to 10.0x, amp raise to 5665ms, amp reduce to 3.8ms and threshold to -0.1dB. 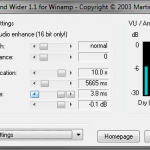 I featured the article here: http://winampenthusiasts.com/forumdisplay.php?fid=48.